A growing number of political prisoners in Egypt have started hunger strikes in protest at lengthy jail terms, long periods of pre-trial detention, and ill-treatment in prison. One of the founders of the 6th April Youth Movement which was born out of the mobilisation for a general strike in solidarity with workers in Mahalla in 2008. He was charged with breaking the repressive anti-protest laws in December 2013 and sentenced to three years in jail. Began hunger strike 20 August 2014. A well-known activist who was imprisoned by Mubarak before the revolution, and jailed under every government since 2011. He was most recently charged with breaking the anti-protest laws in December 2013 and sentenced to 3 years in jail. A blogger and activist who was jailed by Mubarak, Morsi and under both periods of military rule. Alaa was recently sentenced to 15 years in jail for taking part in protests in defiance of the anti-protest laws and against military trials for civilians. Began hunger strike 18 August 2014. A doctor who was arrested in August 2013, Ibrahim al-Yamani is taking part in his second long-running hunger strike. 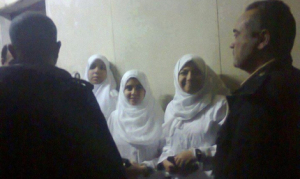 Sisters Hind and Rasha Mounir were arrested 16 August 2013 after taking part in a protest condemning the massacre of at least 1000 people by the Egyptian military and police at Rabaa al-Adawiyya Square. Sentenced to 25 years in jail after nearly a year in prison. Revolutionary Socialist activist and labour lawyer from Alexandria. Mahienour was sentenced to 2 years in jail in May 2014 for breaking the anti-protest law. Her sentence was later reduced to 6 months on appeal, but she faces other charges in a new trial later this year. Sentenced to 15 years in absentia for breaking the anti-protest laws alongside Alaa Abdel-Fattah. A founder of the 6th April Youth Movement. Sentenced to 3 years in jail in December 2013 for breaking the anti-protest law. Arrested in the wake of the massacre at Rabaa al-Adawiyya Square in August 2013 and held without trial for more than a year. 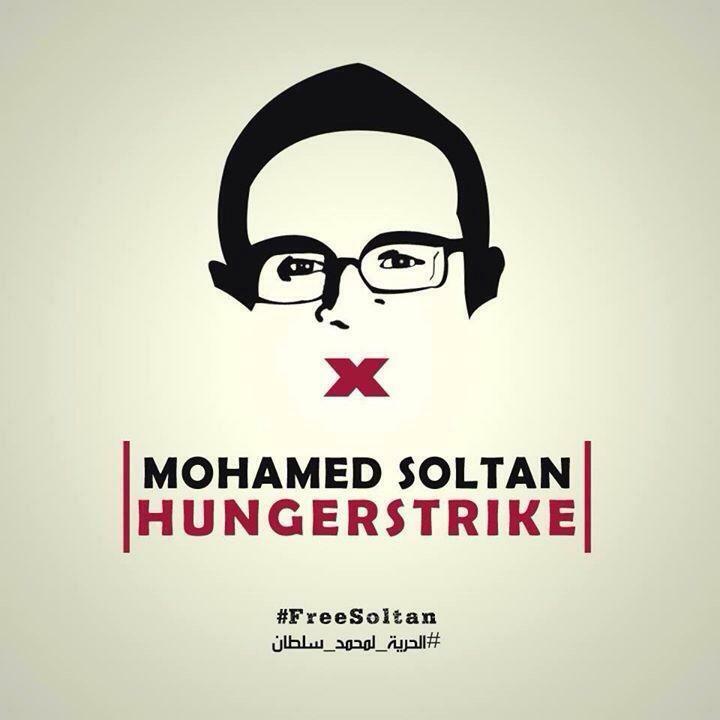 Posted on August 27, 2014, in North Africa and tagged Egypt, Hunger Strike, Prisoners' Struggle. Bookmark the permalink. Leave a comment.